Avoid Awkward Funeral Flower Mistakes. Follow These Simple Tips! 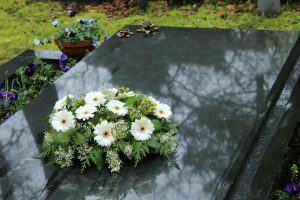 Home / Tips and Care / Avoid Awkward Funeral Flower Mistakes. Follow These Simple Tips! One of our first instincts when a friend’s loved one passes away is to comfort them emotionally and then symbolically with flowers. 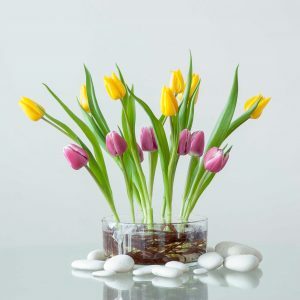 A flower delivery is often the mourning gift of choice because the smell and sight of flowers is said to improve the mood of up to 69% of Americans. However, because there are so many cultures and traditions in the United States, it can be difficult to know what colors or flowers to gift your friend’s family. Here are some of the funeral flower basics to keep in mind before sending a flower delivery to your friend in mourning. To some American families, the colors and types of the flowers may not matter. The simple act of receiving a flower delivery is enough. However, in certain religious traditions, the color of the flowers you send may or may not be appropriate. For instance, in Buddhist traditions, it’s not appropriate to send red flowers. White lilies are a very traditional funeral flower and may be your safest choice when you visit a florist. However, if your friend has a cat, the pollen from the lilies can make their pet sick. A good alternative is white or purple tulips, which are colorful but muted enough to be considered traditional. Orchids are another delicate and lovely option. America is filled with a variety of cultures and religions, which is why it’s essential to know the funeral customs of your friend’s family. For instance, in the Jewish tradition, it’s not considered appropriate to send flowers for a funeral. This is because, for some Jewish communities, the act of giving flowers is seen as cutting the life short of another creation. A fruit basket may be a more appropriate gift. The appropriateness of flowers at an Islamic funeral is also debated. If you’re unsure of your friend’s religious background, a sympathy card is the best course of action. Words can go a long way. When gifting flowers to a friend after the death of a loved one, it’s important to understand not just the symbol of the type and color of the flowers you’re sending but also whether you should be sending flowers at all. Consult your friend or your friend’s family before you make your decision to send a bouquet to the funeral service.